Torus' new Internal Diameter Gauge for plastic containers and preforms offers non-contact internal diameter measurements in a single operation with industry leading measurement range. Tests are carried out using 4-axis motion control without the container being touched, completely eradicating any operator influence. The integrated vision package provides an intelligent neck centralisation function for a miniature confocal white light sensor to enter the container neck and carry out the measurement process. 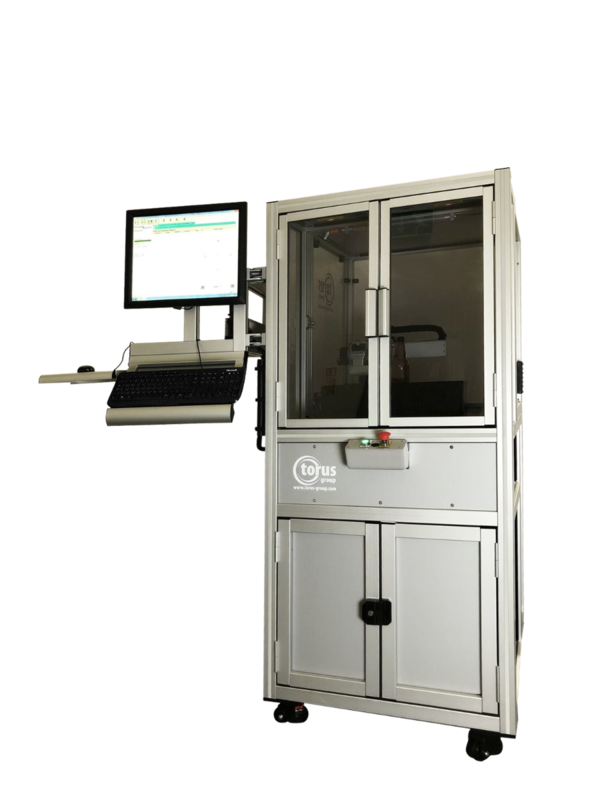 This offers our customers unprecedented improvements to accuracy and repeatability, whilst at the same time reducing the time and labour costs associated with common manual quality control checks. The B309 has the ability to measure internal diameters at multiple heights (from TOF), effectively mapping the internal diameter profile in a series of radial movements. The system can be supplied standalone or integrated into a multiple module Torus system. Torus' B309 offers non-contact internal diameter measurements in a single operation with industry leading measurement range. Tests are carried out using the latest confocal white light and high resolution camera & lighting technologies allowing customers to improve accuracy and repeatability whilst saving time, labour & material costs.